As a child of the eighties, I obviously never got a chance to see what the seventies were like other than from movies and other types of entertainment. That is one of the cool things about the world of film, it gives you a chance to see what you missed out on in the decades you weren’t alive for. I can’t imagine there being many more films that are more “seventies” than Thank God It’s Friday is. Despite not being born when this film was made and not at all being a fan of clubs or dancing, I was pleasantly surprised by this film. It isn’t amazing and I’m sure there are better ’70s disco films out there (for example Saturday Night Fever) but I enjoyed watching this film. The events of Thank God It’s Friday completely take place on one Friday night in a hot Los Angeles discotheque named The Zoo. There isn’t a major overarching plot or anything, just several small stories being played out over the course of the night. Characters include: Tony (the club’s owner who attempts to woo a married woman), Bobby (the DJ who is broadcasting his first live show from the club), Frannie and Jeannie (two high school girls who sneak in to try to win the dance contest), Carl and Ken (geeks looking for love), Dave and Sue (a married couple celebrating their wedding anniversary), Nicole (a disco singer looking for her break), and Marv aka “Leatherman” (a man who lives to dance). While I wouldn’t say Thank God It’s Friday is a must-watch, I don’t understand why it is so poorly rated on Rotten Tomatoes and IMDB. I’m guessing its partially due to there being better rated similar films like Saturday Night Fever but this is not a bad film in its own right. The different characters’ stories are all pretty tropey and extremely easy to predict where they are going but Thank God It’s Friday was much funnier than I was expecting it to be. Things like Bobby’s impersonations of The Commodores band members, The Commodores’ equipment manager’s problems getting to the club, and pretty much every scene that Leatherman appears in got me to laugh (oftentimes out loud even). This is a surprisingly decent film for riffing on but some of the jokes are also just flat-out funny. I did enjoy Thank God It’s Friday but it’s more of a slightly above average film, not something that I would universally recommend to everyone. I mostly enjoyed the humor and the over-the-top characters but there are some problems with the film as well. First of all, in terms of storytelling there really isn’t much story development at all. Most of the stories mentioned in the synopsis paragraph get less than 5-10 minutes of development. There really isn’t much of a plot at all, just a bunch of random stuff that happened at a discotheque one Friday night. Also, I don’t think there was a single unique or particularly interesting story in the lot. Finally, both top-billed stars (Donna Summer and Jeff Goldblum) are barely even in this film. Goldblum plays the club owner for a few minutes while Donna Summer only gets 1.5 performances (though her performance of “Last Dance” won the film an Academy Award and Golden Globe). 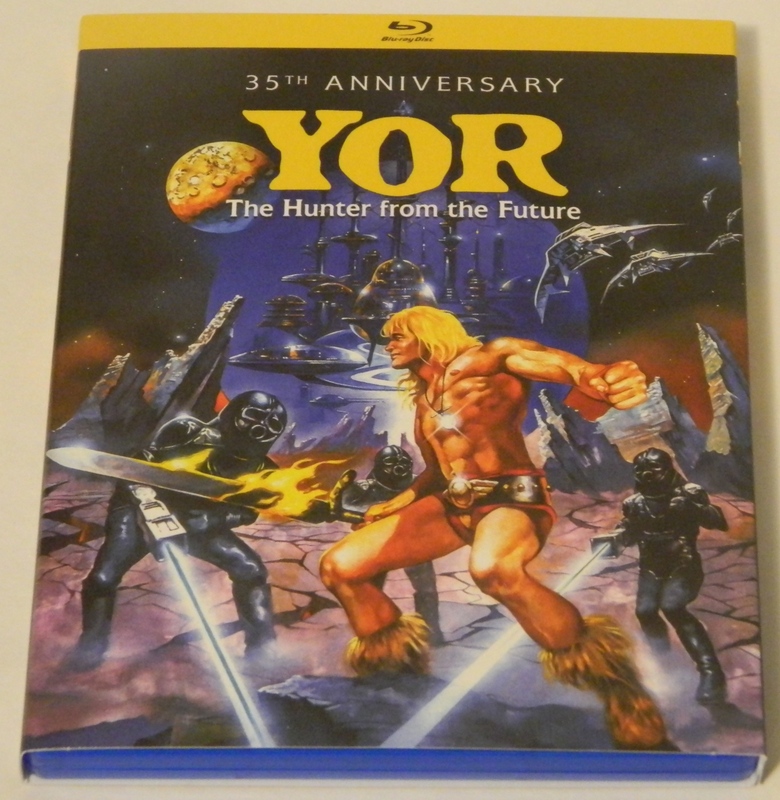 Many of Mill Creek Entertainment’s Blu-ray releases are re-releases of films that are already available on the format but Thank God It’s Friday: 40th Anniversary Edition marks the first time this film has been available in high-definition. Overall, the video quality on this release is pretty average for a Blu-ray. The film is a bit on the older side (1978) but it looks solid for its age. Of course it doesn’t look as good as newer films or older classics that get meticulous restorations but it still looks as good as you would expect an older, lesser-known film would look. One thing I think should have been pointed out on the box was an epilepsy warning since there are a few scenes with rapidly flashing lights that could be problematic for some viewers. While I’m usually not surprised or disappointed by the lack of bonus features on Mill Creek releases, the fact that this is labelled the 40th Anniversary Edition without having a single extra is slightly disappointing. Overall, I enjoyed Thank God It’s Friday way more than I expected to as someone who isn’t into clubs or dancing and wasn’t even born yet at the time this film takes place. The stories aren’t particularly unique or interesting but the film is still pretty fun to watch due to the humor and the characters. There aren’t a ton of stand-out great moments but there are a lot of little entertaining scenes that help make up for it. I am going to give Thank God It’s Friday a 3/5 but if you are a big fan of dance/party films, you might like this film even more. Thank God It’s Friday: 40th Anniversary Edition was released on Blu-ray on May 1, 2018. 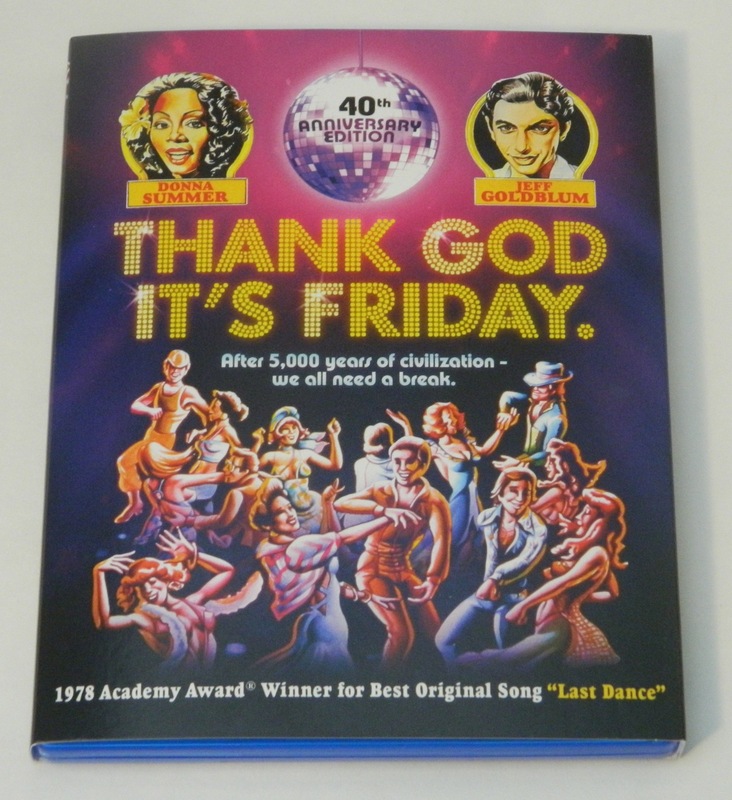 We would like to thank Mill Creek Entertainment for the review copy of Thank God It’s Friday: 40th Anniversary Edition used for this review. Other than receiving the review copy we at Geeky Hobbies received no other compensation. Receiving the review copy had no impact on the content of this review or the final score. Works well as a '70s time capsule. The stories aren't developed very well. They also aren't particularly original or interesting.